In this way, tourism plays two key roles. 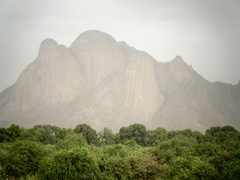 First it boosts Sudan's good image to the outside world, reflecting the good nature of its people, its civilization, its popular heritage and its arts. Secondly, it contributes to the boosting of popular diplomacy of the country. 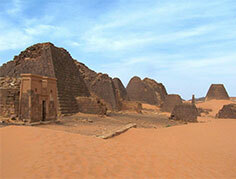 Sudan witnessed many successive civilizations such as those of Meroe and Kouh. The antiquities of those civilizations are still seen in many areas of the Northern State, Shendi area, Al-Bejrawia, Al-Naqa', Al-Musawarat, Merawie, karima, Al-Berkal Mountain and others. These tourist resources can generate a great revenue of foreign currency for the country if they are utilized and promoted in the best way in the international tourism markets. Tourism activity started in Sudan since the dawn of independence with the country's meager resources being carefully and honestly directed to reflect Sudan's splendid tourist image to the outside world. The state, represented in the General Administration of Wildlife, embarked on the establishment of many game parks and reserves so that wild animals are well protected, bearing in mind that they are a national wealth to be treasured and passed on to the coming generations (game reserves of Nemolie, Booma, Al-Zaraf in the Southern States).